A recent SecurityMetrics study found that 67% of businesses store unencrypted Primary Account Numbers (PANs) on their network. Storing unencrypted information creates liability for you and less work for hackers. Fortunately, SecurityMetrics PANscan runs light on your systems and makes it easy to find out if your organization is storing unencrypted payment card data. SecurityMetrics PANscan locates unencrypted card data on your business network so that you can securely delete or encrypt it. PANscan identifies primary account numbers and magnetic stripe track data on computer systems, networks, hard drives, and attached storage devices. Once you have identified the unencrypted card data on your network, you can securely delete or encrypt it. Then patch systems or processes that cause you to store this data. You can also rescan as many times as you would like to ensure that your organization is maintaining a secure data environment. Running PANscan gives your organization the confidence you’re properly handling card data and not inadvertently storing unencrypted payment data. Complying with each PCI requirement can be time-consuming and complicated. Requirement 3 of the PCI Data Security Standard requires that organizations secure cardholder data. 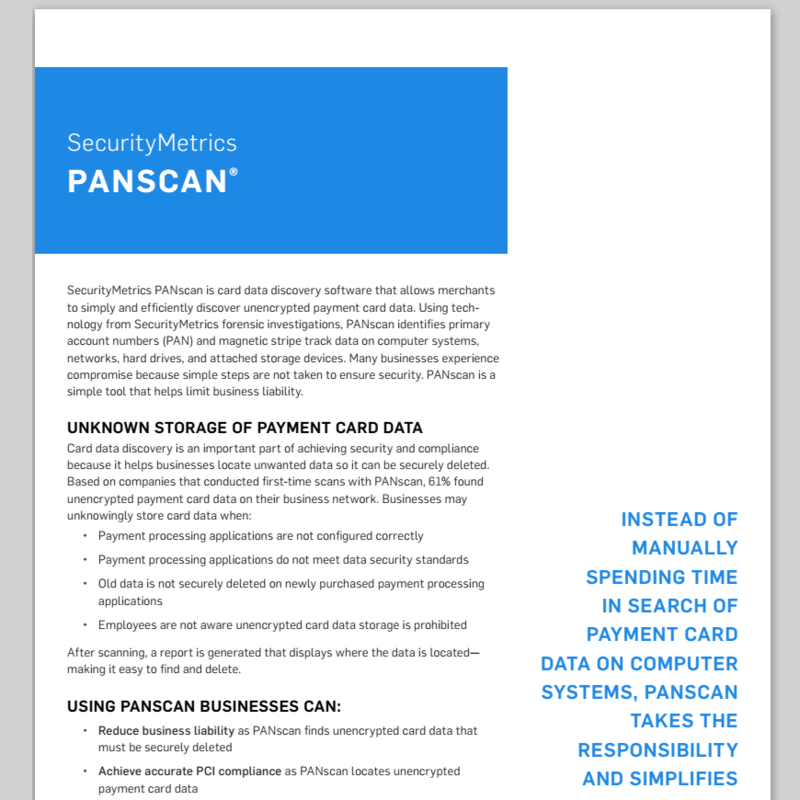 Using PANscan saves you time and simplifies the process of identifying and securing unencrypted card data so you can confidently validate compliance. 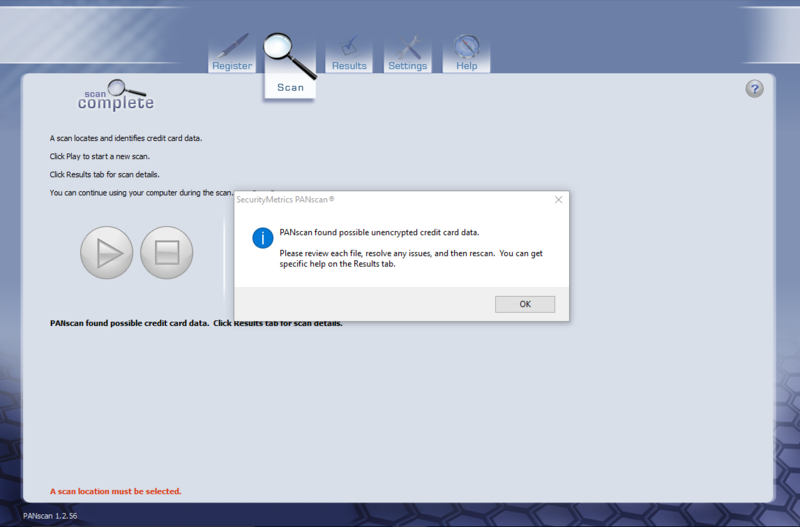 PANscan Lite is a free system scan that checks for unencrypted payment card data. PANscan Lite requires no technical knowledge, is designed for all users, and provides general summary results. PANscan Basic is a comprehensive system scan that checks for unencrypted payment card data. PANscan card data discovery requires no technical knowledge, is designed for all user types, and provides detailed results of card data locations.  Custom system scan that checks for unencrypted payment card data. PANscan Advance is designed for external and internal security assessors and produces custom detailed results of card data locations. Compatible with Windows, Linux, and Mac. With an integrated support system, video tutorials, and 24/7 award-winning technical support you will be able to accurately and efficiently locate any unencrypted credit card data residing on your business network. PANscan runs light on our system. The search criteria detects the card info from all types of files and it's easy to transfer between clients. It’s very user friendly and easy to navigate. PANscan has given us the verification that we are not inadvertently storing PANs. 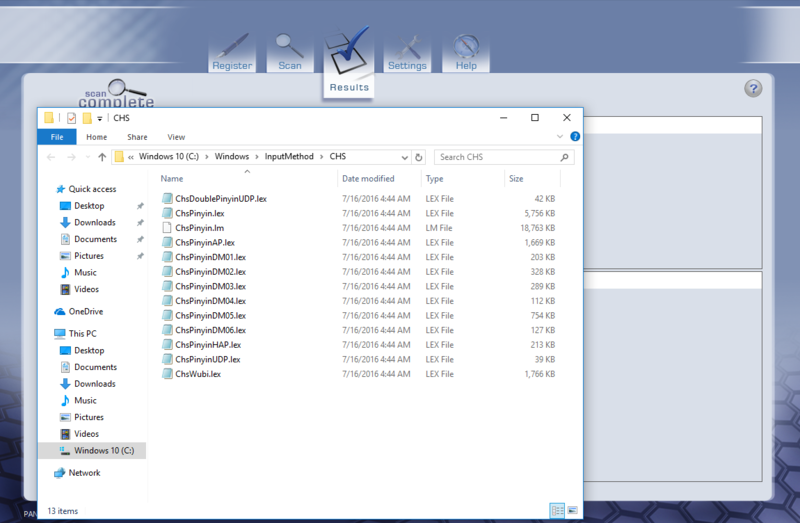 The options to output text files and choose folders to scan were all very helpful and allowed us to use PANscan efficiently in our environment. Check out our Learning Center for practical security tips.